Remittances from a migrant’s household in Indonesia have the potential to filter beyond his or her family and reach the poorest within a community. 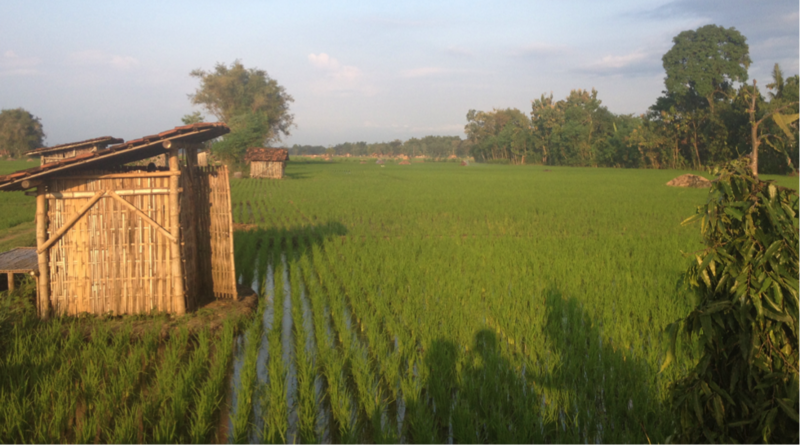 A photo of Ponorogo, where the ARI team have been working closely with the community since 2013. 22% of the households in Ponorogo receive remittances from migrant households through the form of sumbangan — donations which help to sustain the social and cultural life of this migrant-sending community in East Java, Indonesia. 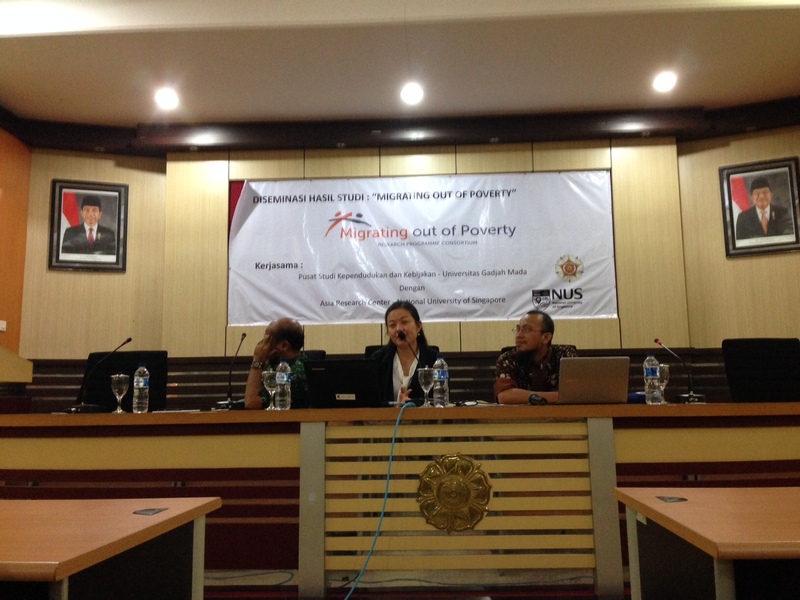 At a seminar at Universitas Gadjah Mada on the morning of Nov 3, Dr. Silvia Mila Arlini presented her latest analysis of the results from Asia Research Institute’s quantitative household survey conducted in Ponorogo in 2013. In Ponorogo, economic activities are limited mostly to the agricultural sector and people tend to make a living through taking up irregular jobs. Under the Migrating out of Poverty programme, ARI found that migration continues to be a crucial livelihood strategy, especially for poorer families. Those who are better-educated are pushed to migrate because because employment opportunities commensurate to their education levels are very limited within the Ponorogo region, and wages are low. Dr Arlini (center) discusses her analysis of the findings. Families with lower incomes are more likely to support a child’s decision to migrate for work, even if jobs available are precarious: unstable, dangerous, and often unwanted in countries of destination. Women significantly outweigh men as international migrants, and many women in Ponorogo leave to work as domestic workers in other countries. Dr. Arlini argues that the Indonesian government’s goal to stop outward migration is a bad idea, and that it is a strategy which will hurt rather than help poorer households in Indonesia in the long run. She also discusses the ‘spillover effect’. Remittances sent back to households in Ponorogo tend to filter through the capillaries of the village in a form of wealth redistribution, contributing to important life events such as births, weddings, wakes, and funerals. Remittances thus tend to trickle down to the poorest within the community. The problem that remains is the heavy reliance on remittances as the primary source of income for most households, particularly in light of the fact that migration tends to be in short-term stints. There is a need for greater income diversification and for the government to support alternative and sustainable forms of work within the region. 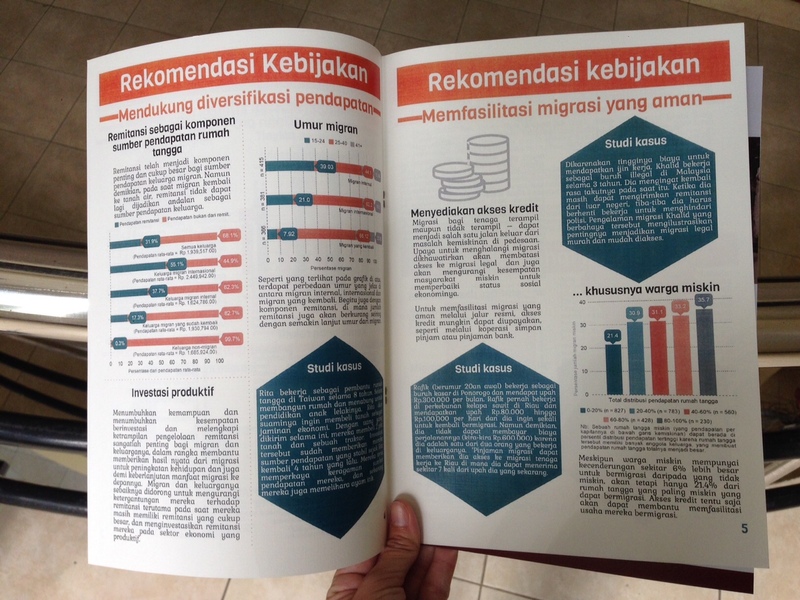 A policy brief in Bahasa summarising our findings. This will be made available online soon, in both English and Bahasa. Most migrants depend on remittances to make up for day-to-day expenses and are not able to invest into more long-term endeavours, such as their children’s education. Dr. Arlini found that migrants who consciously allocated remittances to education are also more invested in children’s education and are committed to ensuring that they stay in school. Dr. Arlini also says that knowledge development and better education structures should be encouraged for migrant-sending villages — to facilitate obtaining better paying jobs, whether in or out of the country, and to reduce the risks inherent in migration. Dr. Arlini’s paper, featuring these findings, is upcoming. Please email us at kellynn.wee@nus.edu.sg if you would like more information. Dr Arlini (or rather, better known to us as our beloved Mila! 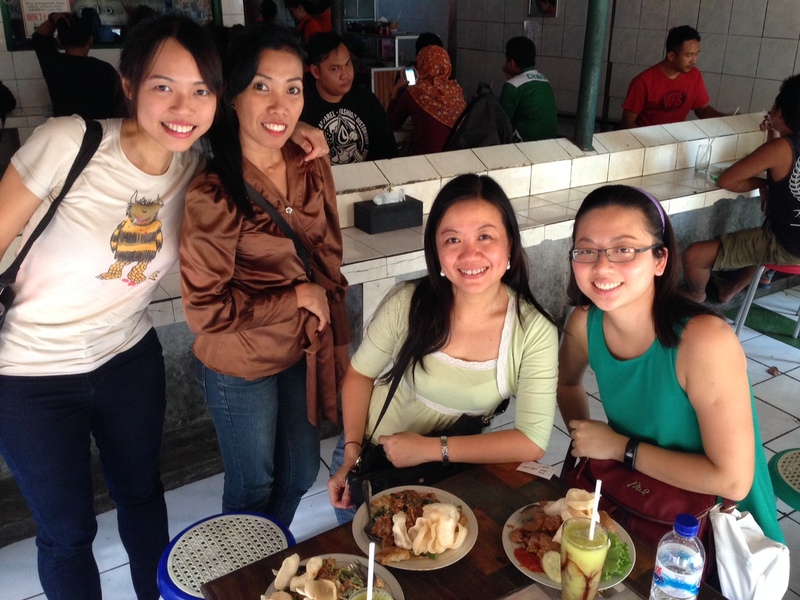 ), pictured here third from left, was born in Yogyakarta and lived here until her college days. She has been introducing us to lots of amazing street food and thrilling forms of transportation (like open-cart rickshaws powered by bicycles!). The ARI team are in Yogyakarta and Indonesia for a couple of weeks to co-host the UGM workshop, attend the SEASREP conference and do fieldwork for various MOOP projects.